I’m still on the look out for a decent, well rounded protein shake that tastes good and to be honest, I don’t think it exists. lol. I recently have been trying different brands. Thankfully Whole Foods sells single packets for me to sample so that I do not have to commit a whole, expensive container. Since Fructose isn’t regulated by insulin, it circumvents the normal appetite signaling system, so you may still feel hungry even though you have eaten enough food. There is 7 grams of sugar in Spirutein, which is approximately the amount in 1 teaspoon of honey, so please keep this in mind if you decide to add fruit, milks, or any other sweeteners to your shake. Now for the taste. 🙂 I drank half the packet with a cup unsweetened almond milk. It tended to clump first when mixing it in my blender bottle, but after 30 seconds of vigorous shaking, it was blended quite well. It definitely has a chocolatey taste, which is good, and no strange aftertaste, which is another plus. When drinking, you could dectect a bit of a gritty consistency due to the plant-based protein, but it wasn’t so bad that it was a deal breaker. Later in the day, I mixed the rest of the powder with water, psyllium husk, and a 1/2 teaspoon of PB2. It yielded similar results, though I definitely prefer it with the almond milk than water. 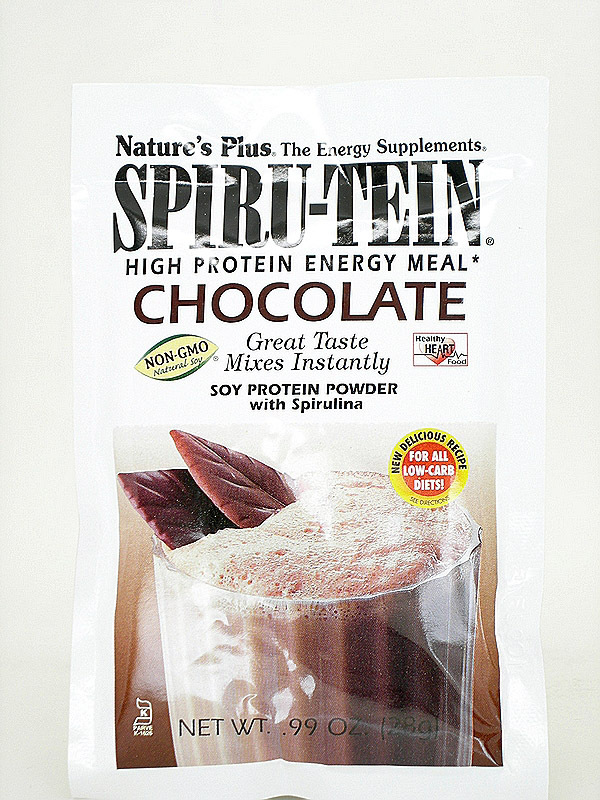 In my opinion, Spirutein is a good supplement, especially if you are looking for a plant-based protein option. It comes in numerous flavors as well, but I don’t recommend that you try the Cherries Jubilee flavor. Blech.